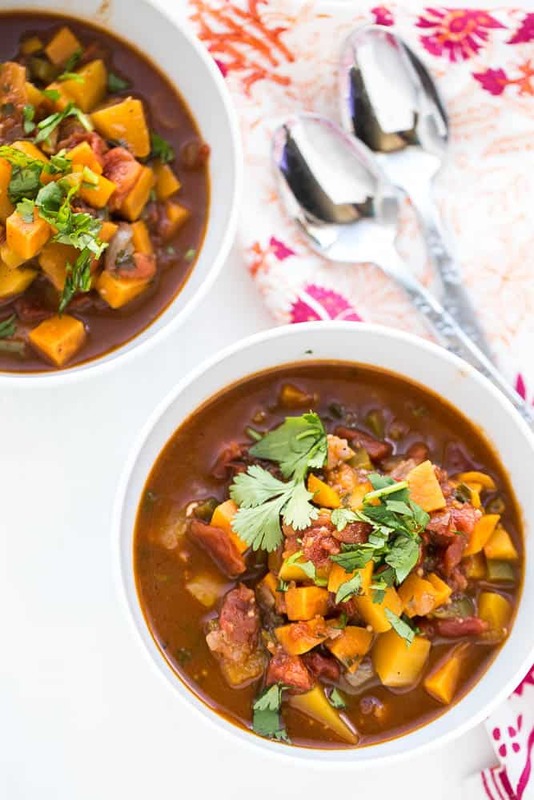 Do you remember the Vegetarian Sweet Potato Chili I posted several years ago? Well, I pulled out the beans, threw in some butternut and made it vegetarian AND paleo. Poached eggs make everything a million times better. And this girl’s gotta have more protein or she gets hangry really quickly. I think I’ve only made one poached egg in my life that didn’t resemble an albino dementor. Clearly this wasn’t it. My favorite part of this chili is the seasoning blend. It has the traditional chili powder/cumin/cayenne blend, but it also has a little cinnamon that plays well with the sweet potato and squash and some cocoa powder that deepens the flavor. It’s just…… goooooood. Trust me. 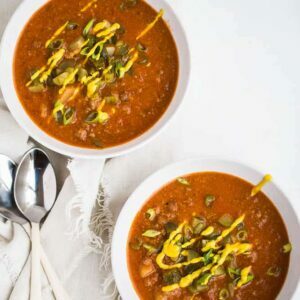 I noticed another vegetarian chili-type soup you’ll love — check out the Enchilada Chowder over at Vegetarian Mama! 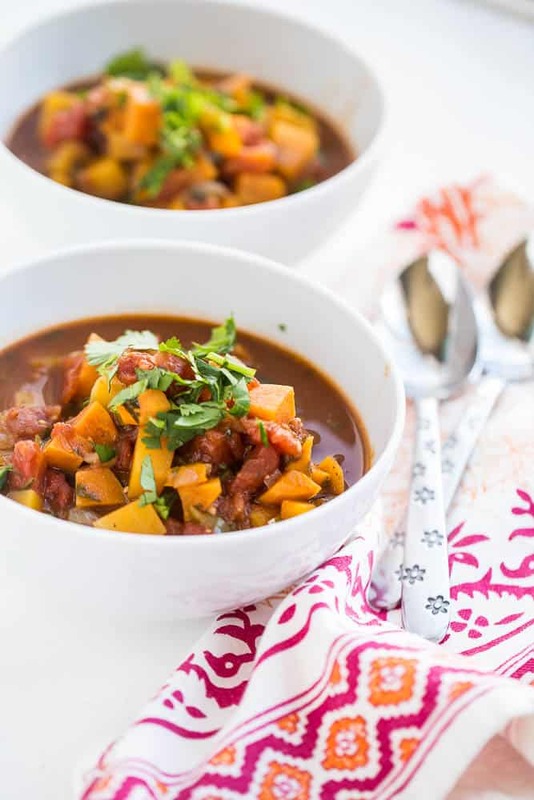 This chili is a hearty, meatless chili that is also paleo-friendly! 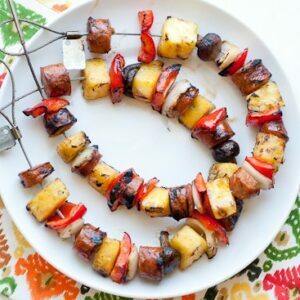 The unique blend of spices pulls out the flavors from the sweet potato and squash so beautifully! 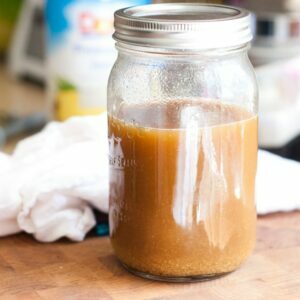 In a 4 to 6 quart Dutch oven or stockpot, heat the oil to medium-high heat. Add the chopped onion and bell peppers to the pot, and cook, stirring, until the onions become translucent, about 4-5 minutes. Add the rest of the ingredients (except the cilantro and eggs) and stir. Cover and let it simmer, stirring occasionally, for about 30 minutes. Stir in the cilantro. Taste, and add more salt, if needed. 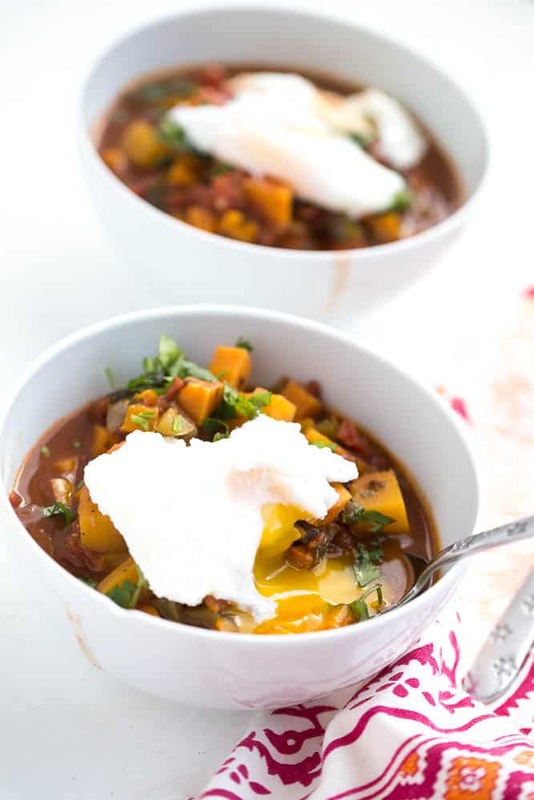 Ladle into bowls and throw a poached egg on top if you feel so inclined. Yum! Can’t wait to try it. The poached egg is an excellent idea too. This looks so yummy! I love the idea of butternut squash in pretty much everything. I don’t know if you found this to be helpful, but I discovered Whole Foods carries fresh frozen peeled and cubed butternut squash and it is cheaper than buying it in the produce aisle, plus saves so much time! Also, I love that you added cocoa powder! Costco carries it too! It saves so much time — wrangling a squash is the worst when I’m in a hurry. Pingback: Gluten Free White Chicken Chili Recipe! Hi! 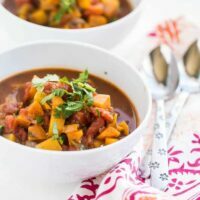 You used to have a crockpot black bean butternut squash chili on here that my husband and I LOVE but now I can’t find it (even my pinboard says ‘no longer available’), can you please help point me in the right direction? Thank you! Lauren, I’m so sorry! I was weeding through some super old posts and tossed all of the old guest posts. I checked Krista’s site and it looks like she isn’t blogging anymore. Some of my old posts I just saved in draft mode and some of them I deleted. I’m totally kicking myself now. :( Maybe you could try this vegetarian one and put black beans in it? It’s super good! This was the best chili I’ve ever made. I felt so much better after eating it too. I did 2 fried eggs on top. Perfect. I cant wait for leftovers tomorrow. Next Post »One Pot Roast + Three Easy Meals!